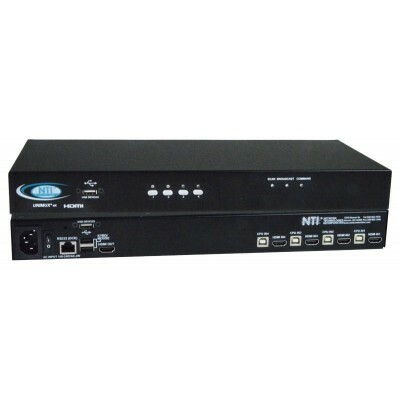 Aurora, OH: Network Technologies Inc (NTI) today announced the addition of the UNIMUX™ 4K HDMI USB KVM Switch to its popular line of KVM Server Switches. The switch allows a user to control up to 32 Ultra-HD 4Kx2K 30Hz USB computers with one USB keyboard, USB mouse, and 4K HDMI monitor. 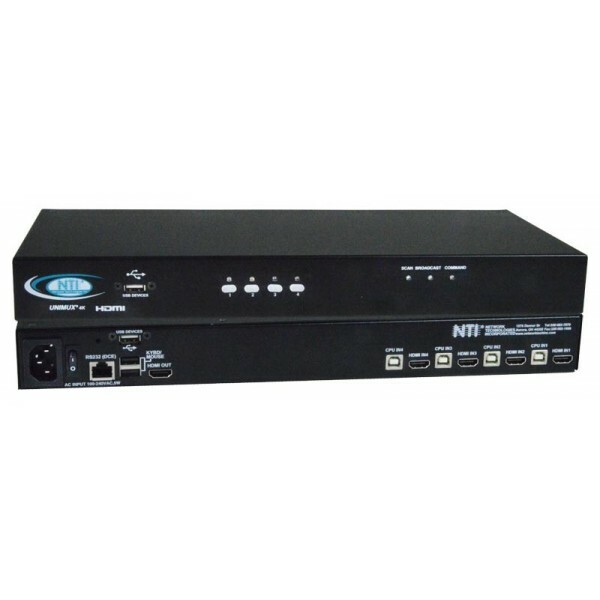 All computers attached to the UNIMUX-HD4K-x switch can be booted simultaneously using NTI’s patented true autoboot USB switching. Dedicated internal microprocessors emulate keyboard and mouse presence to each attached CPU 100% of the time so all computers boot error-free. The switch is compatible with many operating systems, including Windows 2000/XP/Vista/7/8/10, Windows Server 2000/2003/2008/2012, Solaris, Linux, FreeBSD, and MAC OS 9/10. The 4K HDMI USB KVM Switch features two transparent USB 2.0 ports, in addition to the USB keyboard and mouse ports, to connect USB devices such as printers, game controllers, USB flash drives, touch screen monitors, whiteboards, and more. The switch is controlled via the front panel buttons, keyboard commands, On Screen Display (OSD), and RS232 control. The UNIMUX-HD4K-x switch is compliant with HDMI 1.4 and HDCP 1.4 standards, and supports Ultra-HD 4Kx2K resolutions to 3840x2160 at 30Hz, 2K resolutions to 2048x1080 at 60Hz, and HDTV resolutions to 1080p at 60Hz. The 4-, 8- and 16-port switches are 1RU in height, while the 24- and 32-port switches are 2RU. Available for immediate sale, the UNIMUX-HD4K-x costs between $590 and $2,635.